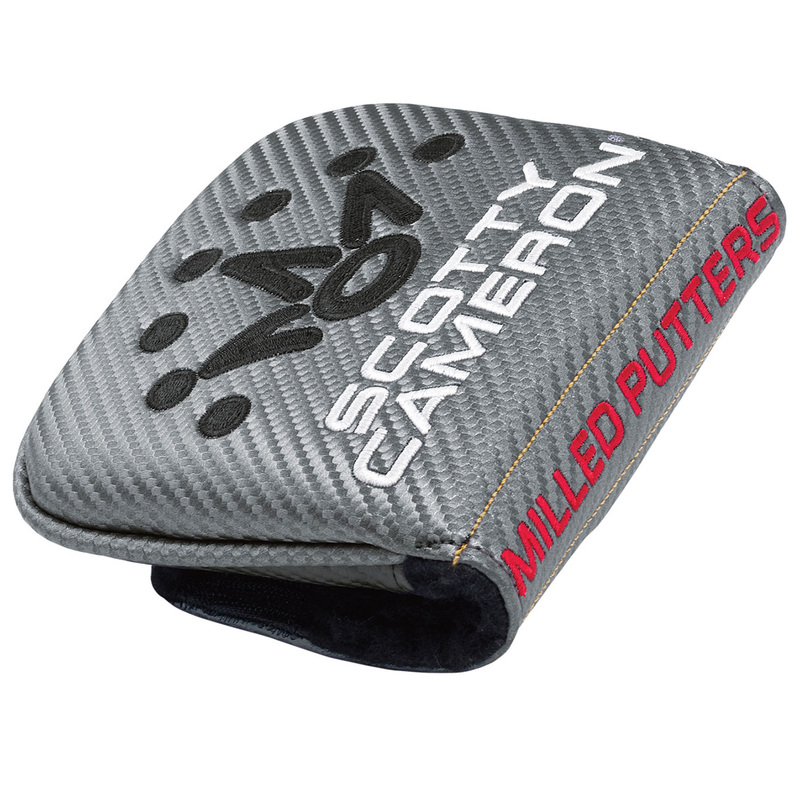 This new beautifully crafted 6M from Scotty Cameron has been design with the help of major-winning golfers to produce one of the best putters on the market. 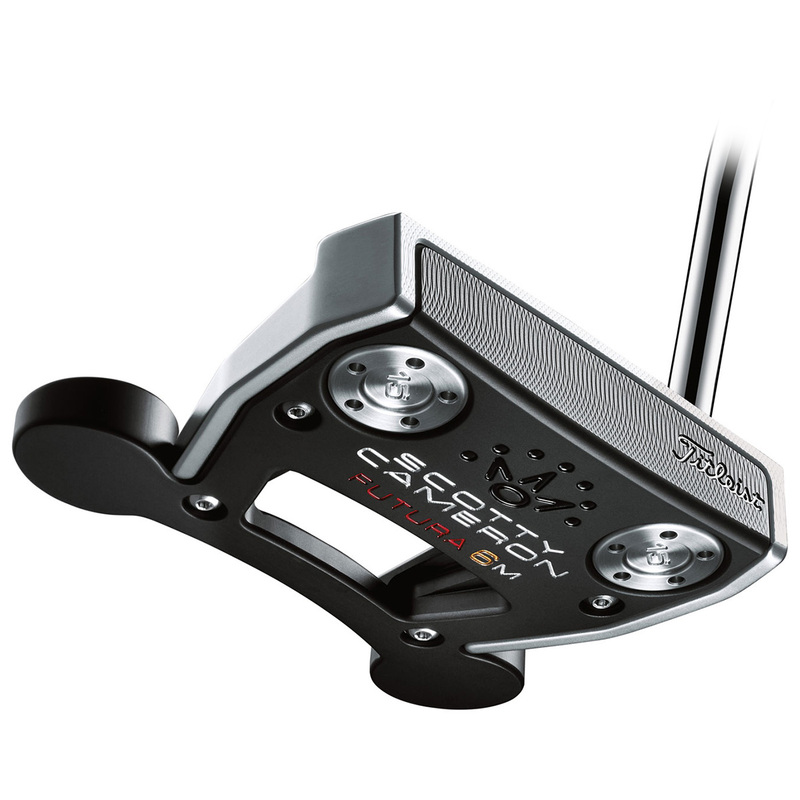 Combining MOI-enhancing design concepts from the previous Futura X family such as the external weights positioned off the back flange, the Futura 6M offers the ultimate in forgiveness and resistance to twisting on off-center strikes in addition to providing the soft feel achieved by the wrap-around aluminum face-sole component. 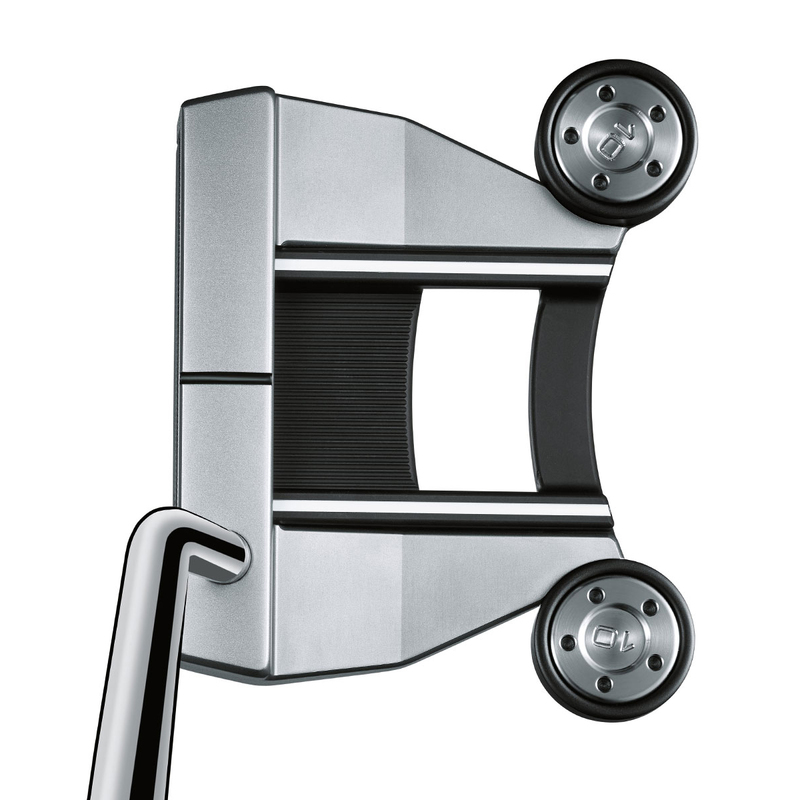 Thanks to the multi-material technology and construction of this putter, enhanced MOI and a stable, forgiving putting stroke is made possible through the combination of heavy stainless steel with lighter aluminium components, the larger putter heads distributes the weight back and to the perimeter. 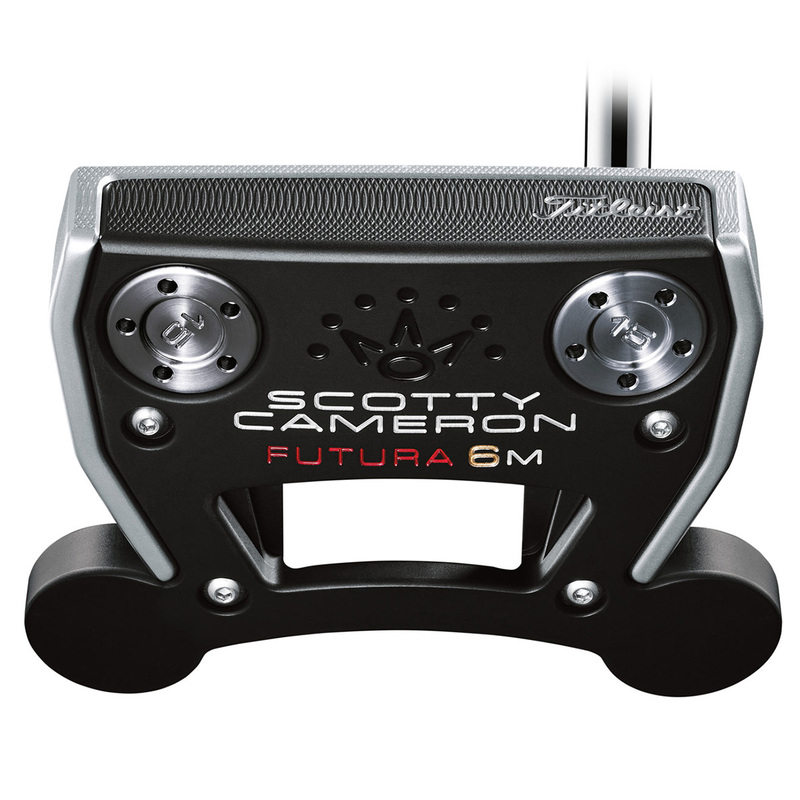 The Futura 6M putter comes complete with a matching head cover.